Week 3 for me! This week turned around and I’m on the upswing from our previous check-in. I hope to continue that trend. Woo hoo! Go Row! If you are interested, you can see my original goals here. I could still use more time available to me, and a lot more sleep. How about everyone else? I am using a lot more caffeine these days than I used to. 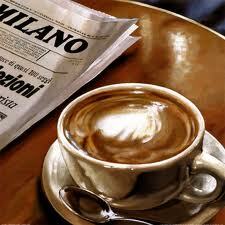 Coffee, coffee, coffee. Overall, I’m feeling good because I am moving forward. My goal: to start moving forward at a quicker clip than I have been and build that buffer I keep trying to get in place for the blog. I have my plan for next week, I just need to implement it. I have seen some fabulous art on the many blogs that I’ve visited this week and it has taken me back. I love art, even studied it a little while in school. Practical application, that is – not art history. I recommend you visit Lesann Berry’s blog and see her fantastic coverage on Andy Goldsworth. His work is immensely inspiring. Also, a fantastic artist worth watching is Phil Hansen. I can see his work being featured outside of someone’s office like Conan O’ Brian’s. You can find Phil featured on the blog of The Midnight Novelist. On a side note, my DVR has cheated death for some time now, pixilating many of my favorite shows. It has finally succumb leaving me without for an entire week (insert sobs here). My DVR is dead! ❤ Write forward on my WIP every day. Three out of five is okay. I’d like to do better. ❤ Write 2100 words a week on my WIP (an average of 500/day). I actually managed 2991 words this week. I was hoping for more, but I’ll take what I got. ❤ Complete & fully participate in Bob Mayer’s Write It Forward Workshop. I feel that I am running behind the class this week. Every time I sit down to read I’m interrupted to the point I end up falling asleep reading at the end of the night. But I did manage to finish the lesson and only need to write it up right after I finish writing this blog. ❤ Blog 3x a week, plus one Row80 update. Done! 3 blogs, plus 2 guest posts. One of which I had written a couple of weeks ago. A total of 5456 words. This total does not reflect this post. This also almost brings me current on my guest post commitment. Funny how they both landed in the same week. One got pushed back due to the SOPA protest. ❤ Comment on/visit/retweet at least 12 blogs a week. I lost track of my numbers here, but it is FAR more than the 12, by leaps and bounds! I’ve been working my way through my entire follow list at least once. ❤ Discover at least 1 new blog a week. Check and double check! ❤ Exercise 3x a week. I threw in exercises here and there, but failed to get any solid exercised at any one point. ❤ Make more time for the family. My kid has made comments about wanting and needing more time with me. We just hung out and watched what they wanted this week. My eldest was sick so we stayed inside. The winds picked up over the weekend and since my youngest is asthmatic we were still hanging indoors. Now the moment that just possibly you all have been waiting for??? Drum roll please! I have pretty shinnies to hand out today. Three wonderful bloggers have bestowed upon me two fantastical awards. Thank you mates!!! Its.Sall from Slices of My Soul handed me the Versatility Award at the beginning of the month. I’m finally getting around to passing it along. I know I can be such a slacker at times. Goodness. Head over to this soul searching blog for a daily dose of deep emotional thoughts and poetry. But, thanks to my holdout I can do this all at once for Ben from Story Multiverse also passed this pretty puppy to me. Huzzah! Ben currently has a very interesting story line running on his blog and if you stop by there it is sure to pull you in. Thanks to both of you. You have made me feel soo very special! 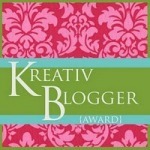 In addition to this fantastic award the beautiful modernmiracleme has given me the Kreative Blogger Award. Woot Woot! I’m doing the Snoopy Dance. I feel so lucky. Thank you so very much! I am tickled pink. Visit her blog for beautiful uplifting messages. Both of these awards come with requirements. The Versatility Award requires that I tell you seven things about myself, The Kreative Blogger asks for ten. Well – I have already given you seven facts about myself both here and here. You may find even more unrelated to any award here. To make it interesting I will give you three more, in addition to the seven I’ve already listed, to equal the ten required for the Kreative Blogger. Of course I have technically given you more than that already in the posts listed above. So you can take it as an act of kindness or simply pretend that I don’t know how to count. 😉 Whichever makes you happiest. 2.) At one time I owned three little Buicks all at once. Two 1962 Skylark hardtop coupe and a 1962 Special convertible. The Special is essentially the same car with very minor differences. It had a bench seat in the front instead of bucket seats. It also didn’t have the cool long chrome trim running off the back tail lights. I also picked up a 1961 Skylark after an accident that I parted out. 3.) While accompanying a friend on her visit to a local psychic (not my visit), the lady decided to give me a little insight into my future as well. She told me my father would die soon (check), that someone at my husband’s work was interested in him (unconfirmed), that I had three guardian angels (I have 3 deceased siblings) and how old I would be when I die (I didn’t want to know this but she told me anyway). Should I believe her? What she told my friend ended up being fairly accurate. Now for the fun stuff! I get to pass the Kreative Blogger award to at least 6 people and let them know they have received it by posting on their blog. 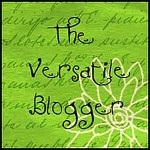 I will do the same for the Versatile Blogger, which is to be distributed to 15 other bloggers. We’ll see what I can do. 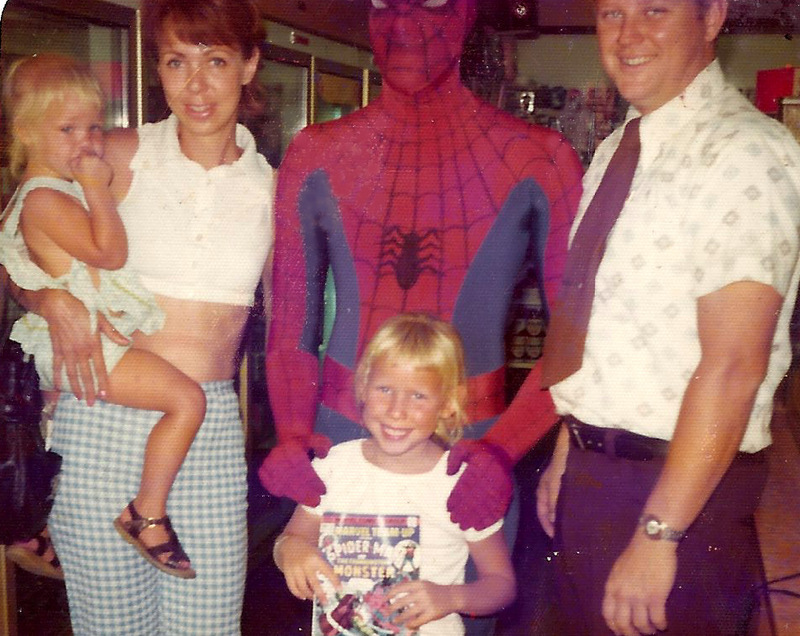 Karen McFarland: A blogger focused on the now. You’ll find her talking about issues well suited for today’s news weekly. She also manages to host many wonderful guests. Krystal Wade: New up and coming YA novelist, she posts wonderful teasers from her novel every Sunday, great funnies on Friday and a nice blend of personal and young adult fiction the rest of the week. Laura Stanfill: Laura blogs about everything from her life to helpful hints and information for her fellow writers. MG Miller Books: Author of Bayou Jesus, Mike may be a little behind schedule on the blog, as of late, due to book commitments, but this man’s a treasure trove of great stories. Valkyrie Rising, Prudence MacLeod’s Blog: Always a ray of sunshine, Prudence will delight you with tales of people watching and discussions of various views, among other things. This lady is well worth the visit. SHarper Blog: Author of King’s X. Stephen has recently introduced a new game relating to your book or WIP on his blog. It’s really cool. I recommend you wander over there and take a look. Story Multiverse: I just introduced you to Ben up above. Can’t wait to see where his story goes. Susie Lindau’s Wild Ride: Beautiful blogger. If you can only tune in for one day, don’t miss her flash fiction Fridays. Amazing stuff! A Digital Magician: This stop is all kinds of geek, which I love! He’s got games and sci-fi, but more importantly for a techno challenged blogger like myself – tweetdeck and blogging advice. Deidra Alexander: Deidra always has something fun and witty. Her blog is a total hoot to follow. Different Corners In My Life: A fun blog following the daily ups and downs in a writer’s life. Jennifer Oliver: I’ve known Jen for a while now. I really like this new diary she introduced. I hope she continues it. I highly recommend you pop over and check it out. Shannon Esposito: Fun weekly Dear Abby posts for your pet. Staring Out the Window: Fantastic writer with many great stories on the Hoover Dam. The Midnight Novelist: An eclectic site full of fun videos, reviews and features. Karen is one of my newest finds! Waiting For The Storm To Pass: Another healing soul filling her blog with beautiful words and song. Heart Stacie. That’s all she wrote folks! Thanks for coming, for your continued support and wonderful comments. They are always greatly appreciated. This entry was posted in Awards, Row80, Updates, Video and tagged 20th century fox parody, Andy Goldsworth, Blog awards, blogger, cheating death, check-in, Debra Kristi, Grim Reaper, Kreative Blogger, phil hansen, Random things, Row80, Versatile, Video, vlog, writing goal update. Bookmark the permalink. You are very welcome Prudence. I look forward to seeing your list. I would probably tag that discriptive word onto my own blog right now as well. But eclecltic is fun! Congratulations on winning these awards! Thank you so much for this wonderful award and for the amazing shout out! I will check out the bloggers on your list I am not acquainted with. Thank you Susie! You are very welcome! I know you will pass it on to some incredible bloggers. Your to do list seems crazy! 🙂 Thank you so much for the award! I’ve been a slacker about actually dishing them back out, but I do appreciate you thinking of me. Thank you so much for thinking of me, Debra. “Behind” is an understatement. But this too shall pass. In time. Right? lol. Again, sincere thanks. That’s right Mike! You have the proper way of looking at it. You are very welcome! Thank you so much, Deb! It’s too bad I can’t nominate you for Kreativ as well, you would have been one my first choices. I will definitely check out the other blogs you mentioned, and thank you also for the nice write-up of mine! I hope some of your readers enjoy The Chain as well. Ha! Thank you Angela, but I think I am doing just as much as a lot of other writers. Just trying to stay on top of it all. It’s not an easy task. Thanks for popping in! Aw, you’re too sweet Karen. I am a little crazy. I guess that’s why I fell a little behind in the last assignment for Bob’s course. That one was serious stuff! But I’m starting my Sunday slow, so thank you Hun. Wow, you’ve really accomplished a lot. Is it even possible to read two books in one week? I know it’s not for me. Silly day job always getting in the way! Thanks for the list of new blogs to check out. And congrats on the award. Maybe it is for some people, like Lena. LOL I can’t! Hahaha. That goal is for the full 80 days. I was hoping to read forward in my current book, but once again I passed out in front of the computer trying to get all the links out and updates to the post made. Sigh. Thank you for your continued support on the Row updates Emma and your enthusiasm over the award. It’s all very much appreciated. Thank you, Debra. You are a sweetie. What a bang up week – fantastic Debra! And congrats on the awards – so deserving. Here’s to another week of fabulousness coming up! Aw, thank you darling! I had to be out of the house the whole day today. Still got some writing and MS related projects in. I’m keeping the focus! Wasn’t good for the blogging though. Thank you Sheila. You are always so kind. I’m getting quite jealous of color coding. I need to start doing that! Kudos on a great week! Ooh, thanks for the links to new-to-me blogs. Congrats on all you accomplished last week. Thank you Pat. You’re most welcome for the links. Enjoy! You really have a lot on your plate, Debra but I think you manage great. Good job with the word count – that’s very impressive. I will keep my fingres crossed for you this week so you can beat even this fabulous number. You are very welcome Lesann! That was a super cool post! It deserved a shout out. This last week was a crazy busy one for me. You’re so sweet! Love the #shazzam! 😀 Made me smile. I have never heard of “Write it Forward”… I am going to check that out! Your plate looks incredibly full. Brava to you for keeping it all up! Welcome to my blog Julie! So nice to see you outside of the #Row80 column. 🙂 You really should look into Bob’s Write it Forward course. I think you’d like it. It’s been a challenge for me to fit some of the reading in, but the insight he offers is fantastic. You can find it here: https://whodareswinspublishing.com/WIF_Workshops.html on the Who Dares Win Publishing site. Thank you for the Woots and for stopping in. It means a lot to me. Wonderful post! Thank you for sharing it.